Why did the prime minister feel she needed to announce that she will stand down? The prime minister offered this pledge as a last resort in the hope that it would help her pass her Brexit agreement through parliament. 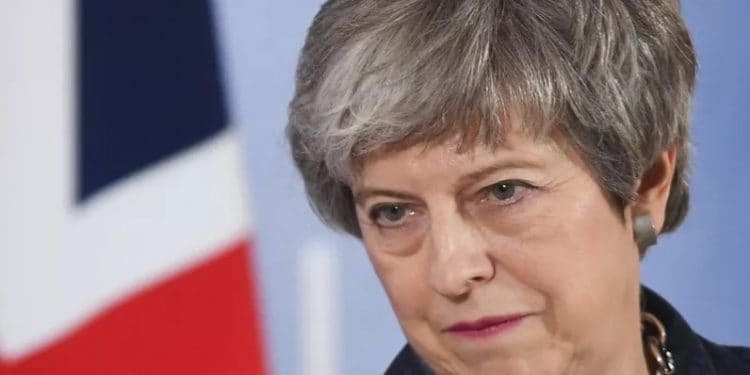 After crushing defeats for her deal in two “meaningful votes”, May was persuaded that the only chance of securing victory in any third vote would be to promise to step down shortly afterwards. The bulk of the Conservative MPs blocking her deal are Brexiteers – although there are also some Remainers who want to stop Brexit altogether. May has sought to win over the Brexiteers, as well as the 10 MPs of the Democratic Unionist Party, which maintains the government in office. The DUP and Tory Brexiteers oppose the withdrawal agreement’s “backstop” mechanism to prevent a hard border on the island of Ireland after Brexit. While little headway has been made on this issue, it has become apparent that some Brexiteers were more willing to consider supporting the withdrawal agreement than others. The price they demanded was May’s resignation after the deal was passed. The prime minister has reluctantly come to acknowledge that this course of action offers the only prospect of getting her deal through parliament. Why do Brexit supporters want her to leave? Brexiteers believe May has negotiated a withdrawal deal that is far softer than it could have been. Some have decided they may have to swallow the deal to avoid losing Brexit altogether but they do not want May to lead the second round of negotiations with the EU. These would involve trade talks and the Brexiteers hope that they could install a new leader who would take a tougher line with the EU. Also see: What’s next for Brexit and what does it mean for your finances? However, there remain many Conservative Brexiteers who will continue to oppose the deal, even after May’s pledge. About 20 or 30 may still vote against it. Does this promise make it more likely that she will get her deal through parliament? May’s post-dated offer to resign will increase the chances of the government winning a third vote on the deal, but as things stand another defeat – albeit by a smaller margin – remains the likelier outcome. Winning over the Brexiteers is only one problem for May. Perhaps 20 Remain-supporting Conservatives might still oppose her deal. The thing that has encouraged many Brexiteers to come over to May in recent days – the fear of losing Brexit altogether – is an incentive for Remainers to continue opposing the government. What if she doesn’t get her deal through parliament, even now? If the government loses the next vote, much could depend on the size of the defeat. If it is fairly narrow – perhaps under 50 – May could be encouraged to try for a fourth vote. But if the defeat were again over 100 votes (the first vote was lost by 230 votes and the second by 149), then all bets are off. May’s offer to resign was expressed conditionally on her deal passing, and if it does not, she might refuse to go. However, amid the ensuing chaos of a heavy defeat, the matter could easily be taken out of May’s hands by her cabinet. What do we know so far about when the prime minister will stand down? If May’s deal passes on a third vote, Britain would leave the EU on May 22. Presumably, May would announce her resignation shortly after that. If it doesn’t pass, and the government and parliament then fail to come up with a new plan, then Britain would leave on April 12 without a deal. That would also likely lead to May’s tenure as prime minister ending. If a long extension is sought, then May’s departure date is less certain. Who could potentially replace her? In the leadership contest to choose May’s successor, MPs will whittle the candidates down to a shortlist of two, which will then be put to the party’s 100,000 mainly eurosceptic individual members. The new leader is likely to be either a Brexiteer or a former Remainer who has moved closer to the Brexiteers. Boris Johnson has long sought to become prime minister and he would be likely to run in the contest to succeed May, having withdrawn from the previous contest in 2016. Fellow Brexiteer, Dominic Raab, who like Johnson, quit the cabinet over disagreements with May over Brexit, is another leading candidate. Andrea Leadsom, who ran in 2016, has arguably enhanced her reputation since then and could run again, having now acquired more frontbench experience. Two former Remainers who have moved closer to the Brexiteers are the foreign secretary, Jeremy Hunt, and the home secretary, Sajid Javid, both of whom are widely tipped to run. The question would be whether the grassroots would trust another Remainer after their experience with May. Finally, Michael Gove is a Leaver who has moved slightly in the opposite direction, helping sell the withdrawal agreement. There would be doubts, however, over whether Brexiteers or Remainers would fully trust him. Should we expect a Brexiteer prime minister in that case? Both Johnson and Raab would feel optimistic of winning the support of the grassroots in the second stage of the leadership contest, but they would need sufficient support from Tory MPs to reach the final two, and that might be more problematic. Johnson in particular is a very divisive figure in the parliamentary party. If the Conservative Party collectively feels that it is necessary to re-unite the various factions, that would tell against the “harder” Brexiteers in general and Johnson in particular. On the other hand, it would likely rule out Remainers such as the work and pensions secretary, Amber Rudd. With a few exceptions, most notably Margaret Thatcher in 1975, the Conservatives tend to choose leaders they see as unifiers – even if they don’t always turn out to be that once in office. Does this mean there will be a general election? The possibility of a general election is very real. If the third vote were lost, an election could offer a way of winning a new majority to implement May’s deal. But there would be serious questions over whether the Tories would want May to lead them into another election after she lost their majority in 2017. Some Tory Remainers might conceivably vote against the government in a confidence vote to forestall a no-deal Brexit. Alternatively, Conservative Brexiteers might do likewise if the government wanted to delay Brexit. If May lost a confidence vote in parliament, there would be a two-week window during which MPs would be given the chance to form a new government. That might be another Conservative government under a different prime minister or a government involving other parties. A new government would not necessarily have to call an election. If no new government could be formed, though, there would be an election.